The Pagani Zonda used to rule the world when it came to outrageously alien rearview mirrors on insectile carbon fiber antennae but it’s suddenly got company. 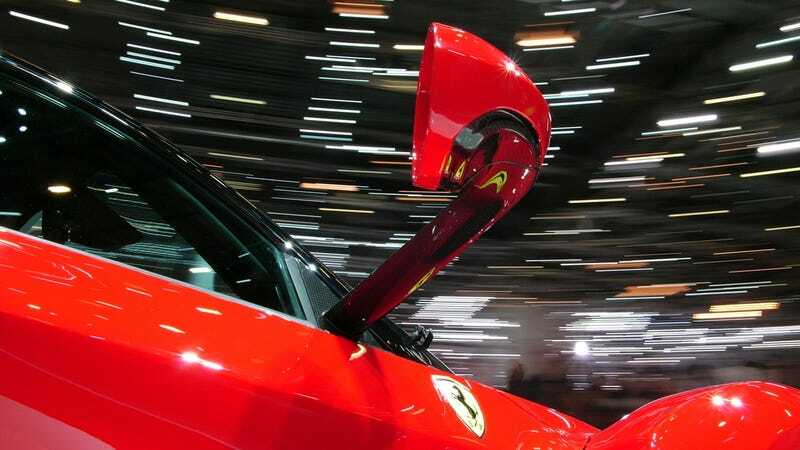 The LaFerrari’s wing mirrors extend into the atmosphere on footlong stalks and they look stunning. Are you a Zonda man? A LaFerrari convert? More into Spyker’s T-1000 mirrors? Show us your favorite.